NPT’s annual Big Yellow Bird Bash is March 30, 2019, in a new nest! NPT’s Big Yellow Bird Bash fundraiser moves to a new location this year! 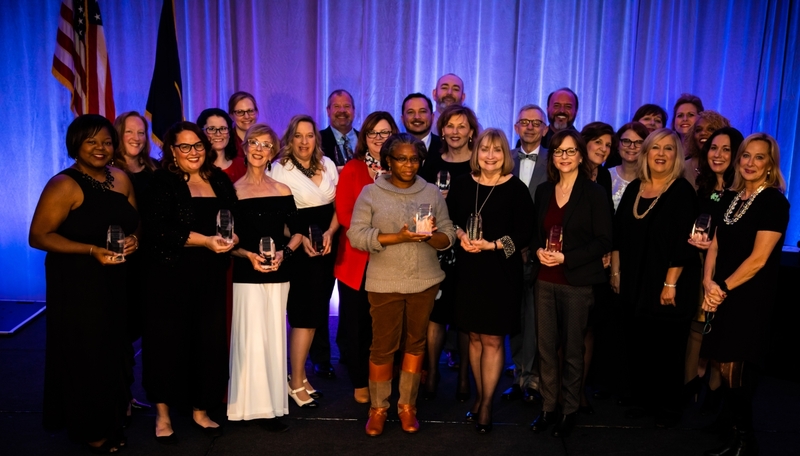 Our eighth annual party for fans of Nashville Public Television and public media takes place Saturday, March 30, from 7 to 10 p.m. at The Bedford, a multi-space event venue located in the Berry Hill area. The Big Yellow Bird Bash includes dancing, light bites and cocktails, photos with Daniel Tiger’s trolley, and a silent auction featuring fitness and other classes, sports and event tickets, and vouchers for services like home organization. Proceeds support NPT’s educational, cultural and civic programming. 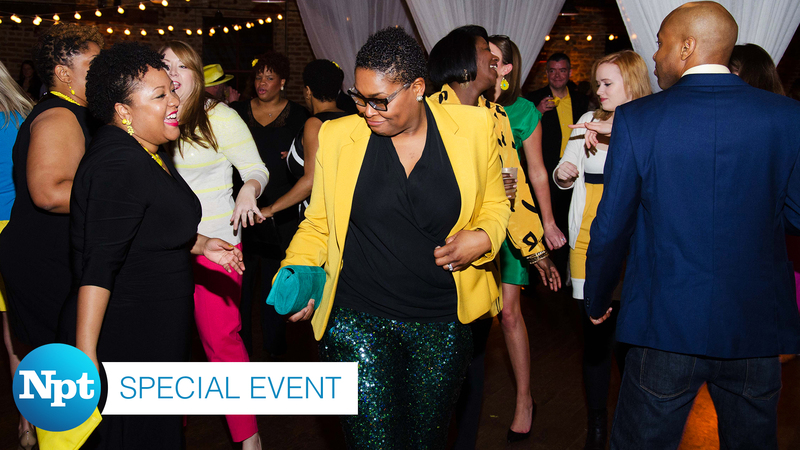 Big Yellow Bird Bash attendees are encouraged to wear yellow – click here for inspirations from last year’s event. Tickets to the Big Yellow Bird Bash are $60 per person, which includes access to NPT Passport, a member benefit streaming portal. More information about NPT Passport is available at video.wnpt.org/passport/learn-more. Need a ride to or from the Big Yellow Bird Bash? Get 15 percent off two rides to or from the Big Yellow Bird Bash with code BYBB2019. This year’s Big Yellow Bird Bash committee is chaired by Brooke Ponder and Zak Kelley. The 2019 committee members are: Sanjana Ballal, Hannah Benjamin, Whitney Braisted, Ryan Ellis, Whitney Fraizer, Sarah Lingo, Krista Nuber, Lawson Patten, Andrea Richardson, Chris Weidel and Peter Westerholm. February is an in between month: not really spring yet, but also not the depths of winter ‒ at least not here in the South with daffodils coming up and hellebores blooming. 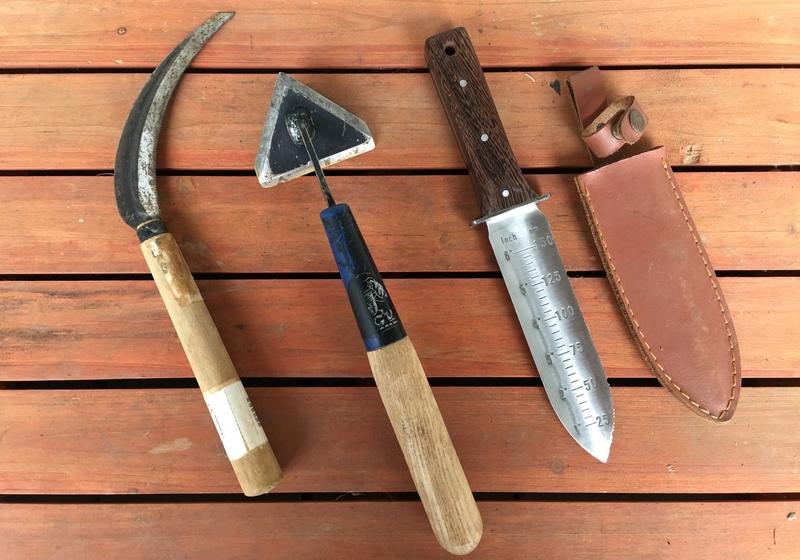 While we’re still in these betwixt and between days, let’s take some time to get our favorite hand tools ready for the coming growing season. Here is a list of my most dearly beloved hand tools that I simply could not be without. With these three simple implements, I can tackle nearly any garden job. Japanese hand sickle. There is no better tool for dividing perennials in the garden! Even difficult-to-separate grasses are no match for this tool. I’ve also used it for weeding, pruning, and cutting a nice edge along a garden path. The scuffle hoe. This is the most-used implement on my farm. It cuts off weeds just below the soil surface and quickly, too. You will be utterly amazed that you ever lived without it! After drying the tools, take a small whetstone and sharpen the edges of both the hori hori knife and the scuffle hoe. The hori hori knife has one flat edge and one serrated edge; use a small file to sharpen the serrated edge. The sickle has a very fine serrated edge that is hard to sharpen, so you will most likely need to replace this tool before the others. Wipe down the tools using a little 3-in-One oil and your tools will be ready for anything you throw at them in the coming weeks! 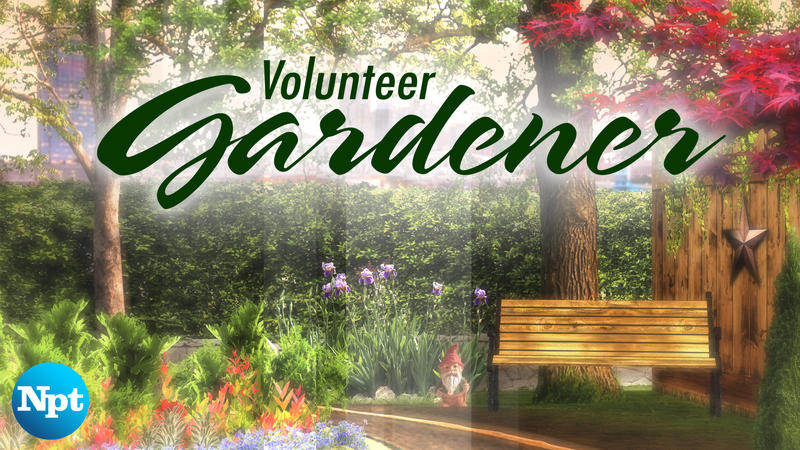 Get more ideas on Volunteer Gardener Thursdays at 7:30 p.m. and Sundays at 9:30 a.m. on NPT. Happy gardening and see you next month! 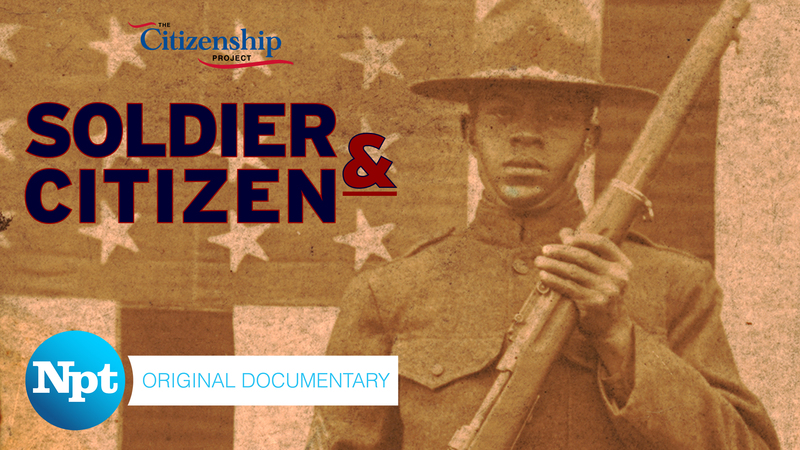 Soldier & Citizen, the fourth documentary in Nashville Public Television’s Citizenship series, premieres this month on NPT. The documentary examines how minority groups ‒ African-Americans, immigrants and women ‒ leveraged their “blood debt” of military service to further their cause for full citizenship. Soldier & Citizen premieres Thursday, Feb. 28, at 8 p.m. on NPT and will be available for online viewing at wnpt.org/citizenship-project. An encore presentation airs Sunday, March 3, at 2:30 p.m., during a marathon of Citizenship Project documentaries on NPT (noon to 3:30 p.m.). NPT will also host a free preview screening on Saturday, Feb. 23, from 2 to 3:30 p.m. at the Tennessee State Museum (1000 Rosa L. Parks Blvd., Nashville, 37208). The event will include a panel discussion with four experts featured in the documentary: Dr. Lisa M. Budreau, senior curator of military history at the Tennessee State Museum; Dr. Carole Bucy, professor of history at Volunteer State Community College; Jo Ann McClellan, founder and president of the African American Heritage Society of Maury County; and Dr. Reavis L. Mitchell Jr., professor of history and Dean of the School of Humanities and Behavioral Social Sciences at Fisk University. Produced by Ed Jones, the documentary covers the Civil War, the two World Wars and the Vietnam War, delving into the heroic efforts of soldiers during wartime ‒ including the Buffalo Soldiers and the Tuskegee Airmen ‒ as well as the often shameful ways they were treated during their service and upon their return to their communities. Women’s service during wartime is paired with a survey of how suffragists hoped the exploits of nurses during the First World War would help convince Congress and President Woodrow Wilson to support their quest for voting rights. In addition to the panelists, others appearing in the documentary are: Sgt. Charles L. Henson, 598th Field Artillery Battalion, 92nd Infantry Division; Ronald R. Krebs, Ph.D., professor of political science; University of Minnesota; Bobby L. Lovett, Ph.D., professor of history and Dean of the College of Arts and Sciences, Tennessee State University (Retired); Carroll Van West, Ph.D., director, Tennessee Civil War National Heritage Area. NPT’s Citizenship Project is a series of original productions about how different groups have fought for, obtained and maintained the rights and access we commonly associate with American citizenship. These include the right to vote, the right to receive a public education, the right to be considered equal before the law, and the right to worship the religion of one’s choice. 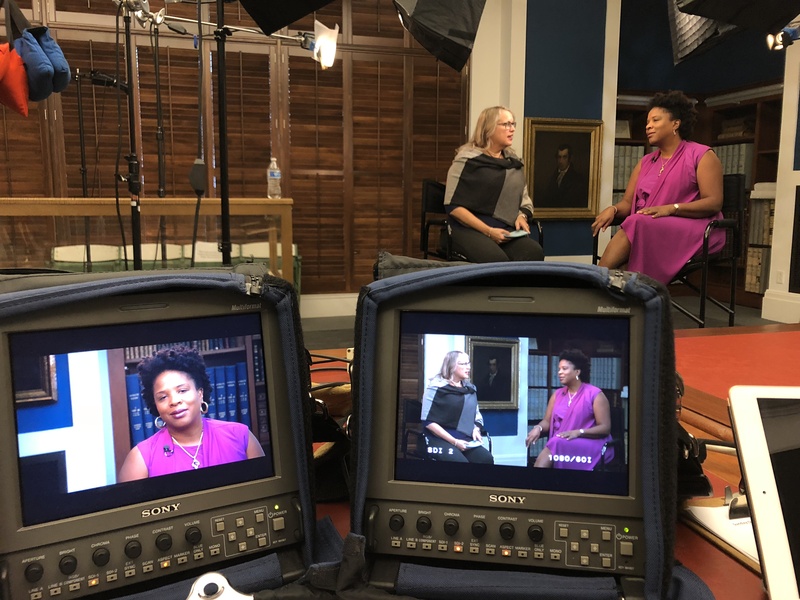 Over the course of the project, the programs will cover Tennessee history from the end of the Civil War through the 1960s, exploring civil rights and women’s suffrage among other topics. The third season of Victoria on Masterpiece premieres on Sunday, Jan. 13, at 8 p.m. This will not only be the U.S. premiere, it’ll also be the world premiere because the episodes will air here in the U.S. before they are shown in the United Kingdom. It’s 1848 when the story picks up. Queen Victoria is expecting her sixth child and contending with a discontented Europe where revolutions are breaking out in country after country. Later, Victoria and her consort Prince Albert will have to deal with the increasingly problematic Bertie, heir to Victoria’s throne. Jenna Coleman (Doctor Who) returns as Victoria and Tom Hughes is back as Prince Albert. Season 3 also welcomes Laurence Fox (Inspector Lewis) as Lord Palmerston, the British foreign secretary at odds with the queen over foreign policy; and Kate Fleetwood (Harlots) as Victoria’s half-sister Princess Feodora, fleeing political unrest in her German home. Victoria was written by historical novelist Daisy Goodwin, who also serves as executive producer. Season 3 continues Sundays through March 3. Each episode will re-air at 7 p.m. the Sunday following its broadcast premiere and will also be available to stream at video.wnpt.org/show/victoria for two weeks. After that, each episode will be available via NPT Passport. 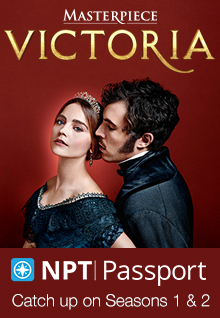 Seasons 1 and 2 of Victoria on Masterpiece are currently available on NPT Passport. Victoria gave her name to a period of major industrial, technological, artistic and geopolitical change. In addition, the royal family set trends in many areas, from popularizing Scottish tartans to spreading Christmas traditions to defining wedding customs. When Victoria married Prince Albert of Saxe-Coburg just a few years into her reign in 1840, she did so in a stunning white lace dress and veil that made white bridal wear the standard. Royal historian Lucy Worsley explores Queen Victoria’s nuptials in Victoria & Albert: The Wedding, a two-part special airing Sunday, Jan. 13 and 20, at 9 p.m. The program follows the painstaking re-creation of Victoria’s gown, her 300-pound wedding cake and other elements and then shows an elaborate reenactment of the wedding. Worsley was part of PBS’ “Royal Wedding Watch” team covering the 2018 wedding of Prince Harry and Meghan Markle. Here she’s joined by food historian Annie Gray, costumier Harriet Waterhouse and military historian Jasdeep Singh. Worsley’s Tales from the Royal Wardrobe and Tales from the Royal Bedchamber re-air on NPT at 9 p.m. on Sunday, Jan. 27 and Feb. 3, respectively. Queen Victoria’s great-great-granddaughter was for a time defined by matrimony, but in the case of Princess Margaret, it was a wedding that didn’t take place. The two-part Margaret: The Rebel Princess airs Sunday, Feb. 10 and 17, at 9 p.m. and profiles Queen Elizabeth’s glamorous, jet-setting younger sister. Forbidden from wedding dashing – and divorced – Royal Air Force pilot Peter Townshend, Margaret eventually married photographer Anthony Armstrong-Jones and became part of the Swinging London scene of the 1960s. Our complete broadcast schedule is available at wnpt.org/schedule. He’s back! 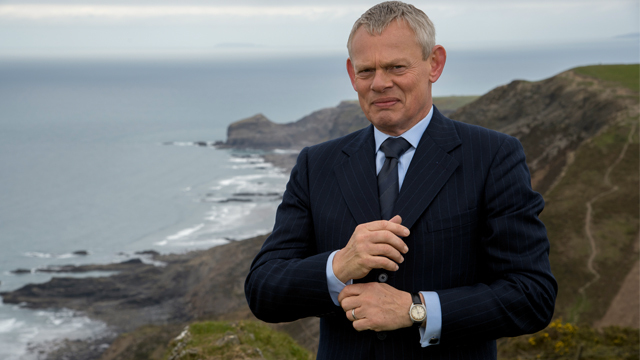 Martin Clunes returns as the irascible, yet lovable, title character in Doc Martin beginning Thursday, Jan. 3, 2019, at 8 p.m. on NPT. 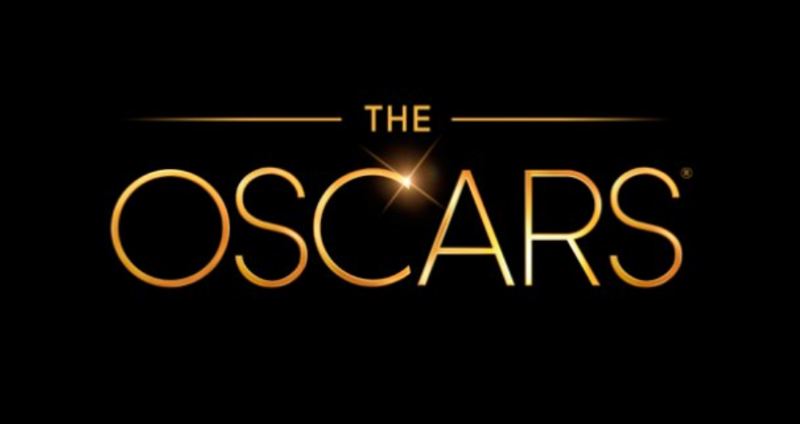 Viewers will have several opportunities to enjoy the series: Each Season 8 episode will air Thursdays at 8 and 11 p.m., Saturdays at 9 p.m. and again Sundays at 10 p.m. (10:30 p.m. on Jan. 6). As the season opens, Martin and Louisa (Caroline Catz) are raising their toddler and giving their marriage another go in Portwenn. Their Cornish neighbors are up to their usual questionable business ventures, rocky relationships and interactions with odd visitors to the seaside village. Previews of each Season 8 episode will be available at wnpt.org/doc-martin. Our complete broadcast schedule is available at wnpt.org/schedule. Joe Elmore at Cheekwood Estate and Gardens. Need a little Christmas? We’ve got plenty this month with a sleigh full of holiday episodes, music specials and cooking/entertaining shows. Joe Elmore and the Tennessee Crossroads crew put together a collection of an hour-long Tennessee Crossroads Christmas Special, premiering Thursday, Dec. 20, at 7 p.m. Tune in for nine holiday-themed stories including Chad’s Winter Wonderland in Wilson County, the Chattanooga Power Board windows, and a woman with a massive collection of Santa items. 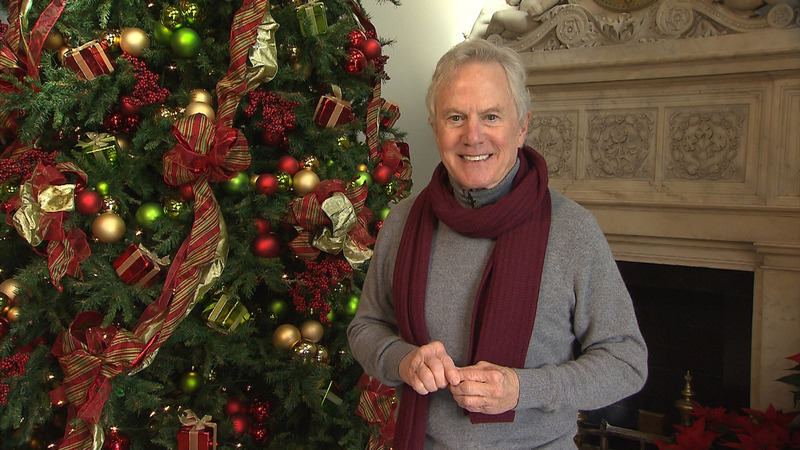 The special also features two vintage story segments and a look at Cheekwood Estate and Gardens in all of its holiday splendor. The new Call the Midwife Holiday Special airs Tuesday, Dec. 25, at 8 p.m. It wouldn’t be Christmas at Nonnatus House without new arrivals – this time greets a new nun and four Chinese orphans. We’re also airing the Call the Midwife 2016 specials on Saturday, Dec. 15, at 9:30 p.m.; and the 2017 special airs Saturday, Dec. 22, at 9:30 p.m.
Christmas at Belmont is one of our most popular holiday programs! See the 2015 concert hosted by Kathy Mattea on Friday, Dec. 21, at 7 p.m. and the 2017 concert hosted by Sheryl Crow at 8 p.m. Then, Jordan Smith ’tis the Season airs at 9 p.m., and Happy Holidays with the Boston Pops caps off the night at 11 p.m. 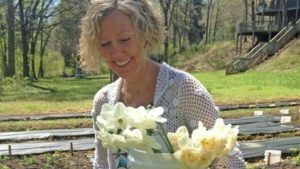 Hosts Bridget Lancaster and Julia Collin Davison (pictured) and the rest of the America’s Test Kitchen crew share favorite recipes, traditions and personal memories in the new Home for the Holidays special, airing Friday, Dec. 14 at 7 p.m. 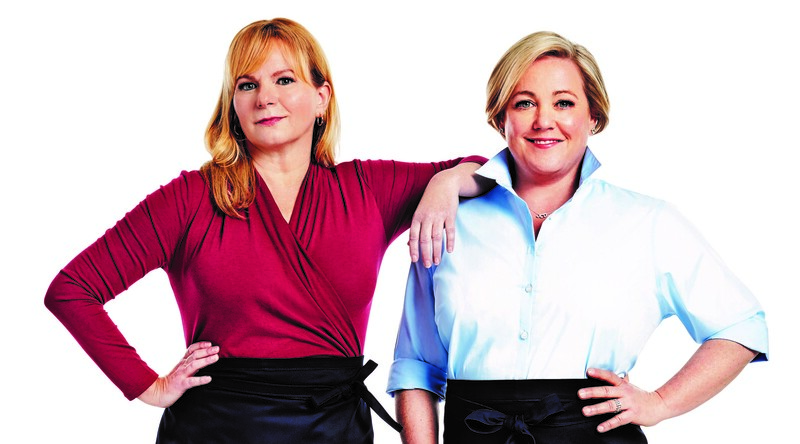 Chef Lidia Bastianich serves up A Heartland Holiday Feast, on Tuesday, Dec. 18, at 8 p.m. In this new Lidia Celebrates America special, Bastianich goes on a cross-country trip to sample tamales, ribs, pies and other culinary traditions of America’s rural communities. Keeping Up Appearances Christmas episodes air Saturdays, Dec. 15 ‒ 22, at 8 p.m. Christmas episodes of Still Open All Hours air Saturdays, Dec. 15 (2016) and 22 (2017), at 9 p.m. The Lawrence Welk Show celebrates Christmas 1966 on Saturday, Dec. 22, at 7 p.m. and New Year’s 1970 the following Saturday at 7. Tony Award-winning Broadway star Sutton Foster and actor Hugh Bonneville host Christmas with the Mormon Tabernacle Choir in a new holiday performance premiering Monday, Dec. 17 at 8 p.m. Other performers include the eight-person Gabriel Trumpet Ensemble, a percussion ensemble and a handbell choir. Spend Christmas Eve at a cozy Vermont Inn via an encore presentation of Irving Berlin’s Holiday Inn ‒ The Broadway Musical on Monday, Dec. 24, at 8 p.m. on Great Performances. The holiday season wouldn’t be complete without the Nutcracker. Sunday, Dec. 16, at 11 p.m., young dancers compete for roles in an annual production in Getting to the Nutcracker. Meanwhile, Chicago’s Joffrey Ballet transplanted the famous story to the city’s 1893 Columbian Exposition (The White City) with choreography by Christopher Wheeldon. Enjoy a behind-the-scenes look in Making a New American Nutcracker, airing Thursday, Dec. 20, at 11 p.m.
Yo u’ll find a collection of festive episodes on NPT Passport, our members-only streaming portal. 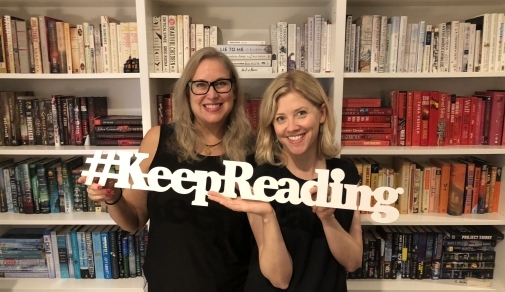 The programs include two Downton Abbey Christmas episodes, a Christmas masterclass from The Great British Baking Show and a classic Julia Child show on how to roast a turkey. Click here for the complete playlist and here for information on NPT Passport. The collection will be available through the end of the year. Apollo 8 was the first lunar space mission that took humans around the back side of the Moon. The mission came at the end of 1968, launching on Dec. 21 and including a poignant moment when the three astronauts took turns reading from Genesis during a live broadcast on Christmas Eve. 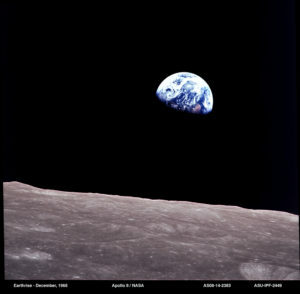 Sunday, Dec. 23, at 10:30 p.m., Earthrise on POV Shorts, discusses the mission’s iconic photograph of Earth rising dramatically over the Moon’s horizon. On Wednesday, Dec. 26, at 8 p.m., NOVA’s Apollo’s Daring Mission on chronicles that entire lunar adventure. What are you doing New Year’s Eve? We’re airing Live from Lincoln Center featuring the New York Philharmonic and Renée Fleming on Monday, Dec. 31, at 8 p.m. That’s followed at 9:30 p.m. by Austin City Limits Hall of Fame New Year’s Eve show. This year’s guests include Chris Isaak, Boz Scaggs, Gary Clark Jr., and Norah Jones. Hugh Bonneville returns as host of Great Performances’ broadcast of the New Year’s Celebration from Vienna. The show airs Tuesday, Jan. 1, 2019, at 8 p.m. and will feature the Vienna Philharmonic led by Christian Thielemann, principal conductor of the Staatskapelle Dresden, and the Vienna City Ballet. Find our complete programming schedule at wnpt.org/schedule.